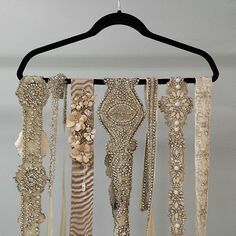 Choose from a beautiful variety of bridal sashes, belts, and ribbons to compliment your wedding dress. You will find top bridal accessory designers, as well as custom designed styles available exclusively at Clarissa Boutique. View a sampling of what we have in stock below, see more on Pinterest, call us, or stop in today to see our full selection. 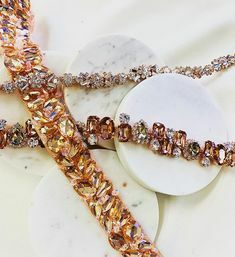 Bridal Belts! 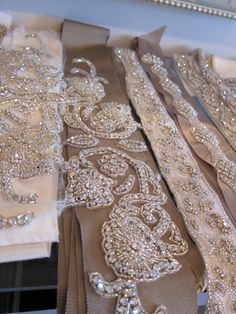 Wedding and accessory belts from Alta Moda. 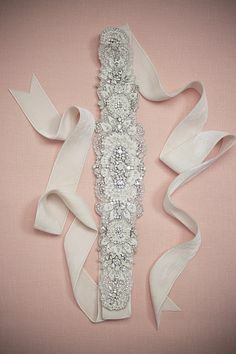 Lovely velvet bridal belt with chiffon petals mixed with crystals, and pearls. Our new collection of embellished wedding belts.